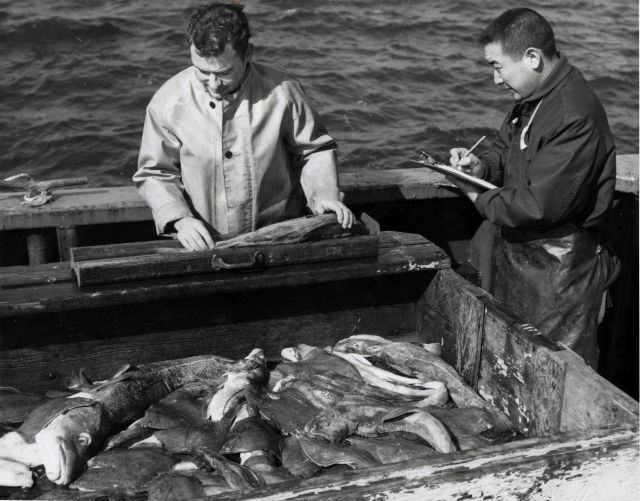 Biologists measuring cod fish at sea. To assess the effect of fishing on a population, thousands of fish must be measured to determine growth and mortality rates. Working on the ALBATROSS IV.